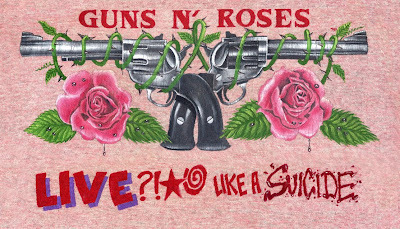 After I heard that album for the first time in 1986 I became an instant fan and of course I had to paint my own t-shirt with it. This t-shirt was ridiculously hard to scan and put together. I just couldn't get those wrinkles to go away. Sorry if it looks a little distorted. Not too bad for an 18 years old punk.